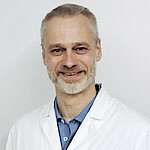 Helmut Schweigart obtained his doctorate for research into the reliability of electronic sub-assemblies, and he has been employed at ZESTRON Europe since the early days of the company. At present, he is responsible for Technology Development. He is also a member of the Board of Management at GfKORR (Gesellschaft für Korrosionsschutz - a company specialising in corrosion inhibitors) as well as an active member of GUS (Gesellschaft für Umweltsimulation - an environmental simulation company) and of the IPC. 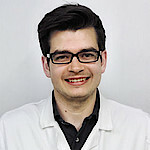 After his study of chemistry at the Technical University Munich, Markus Meier worked among others on the ageing of cement and earned a PhD on the topic crystallization of cement-hydrate-phases under microgravity conditions. 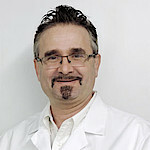 He is experienced in the areas interfacial chemistry and surface analytics. At ZESTRON Europe, he works in the field of Technology Development in which he is responsible for the coordination of research projects as well as the organization of technology coachings. Stefan Strixner studied Technical Chemistry and has been assisting operators since the business division ZESTRON was founded. He has managed responsibly the installation of several hundred cleaning processes. Among other things, he advises and supports the sales partners as well as subsidiaries in Europe and Asia. He was co-responsible for setting up the technical centres at the global locations of ZESTRON and took charge here of the on-site induction and training of the employees with posts of responsibility at those locations. 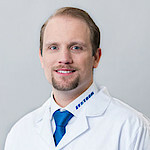 Thomas Möller studied chemical engineering, majoring in environmental technology, and has been involved for many years in applications technology at ZESTRON. Here, he advises and supports customers in Scandinavia, the Baltic region and Russia with the installation and operation of cleaning/scrubbing processes. Michael Kövi is an environmental sciences engineer. He works at Zestron Europe in applications technology. Here, he advises and supports customers from eastern Europe, Switzerland and the Benelux countries with the installation and control of cleaning processes associated with electronics production. 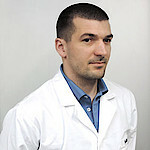 After his technical studies, Mr. Martin Königer became involved in the development of surface coatings based on sol-gel. He has now been working at Zestron in applications technology for many years. He is an expert in the field of template underside cleaning and primarily supports key accounts in southern Europe and in the UK. 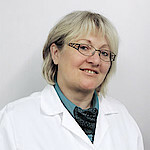 Renate Berenyi studied technical chemistry and has been on the team since the very first days of the company. With her 20 years of experience as a process engineer in applications technology, she advises and supports key accounts in Germany and Austria, and is an expert in all kinds of cleaning processes. Bertrand Thimmesch is a chemical engineer and he possesses extensive experience in the provision of advice and support to customers in respect of all cleaning processes associated with electronics manufacture. For many years, he has been responsible in applications technology at ZESTRON Europe for the French market, and for francophone customers. 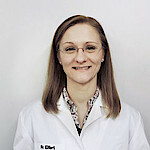 Christina Eifert graduated as an engineer in technical chemistry. For the last few years, she has worked in applications technology at ZESTRON Europe. She supports the German team in the provision of advice to customers on the subjects of commissioning and monitoring of cleaning processes, and she conducts analyses and provides various related services to customers.